Episode 200 of South Park (viewable here) has provoked the wrath of a radical Muslim group which took offence at the depiction of the prophet Mohammed (the inventor of Islam (a middle-eastern theistic belief system)). They plan to gain that power by “taking his goo”, although the exact procedure for extracting said goo is not explained. 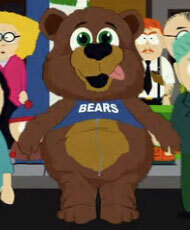 The residents of South Park, still nervous about showing Mohammed in any form, eventually bring him on dressed in a bear suit. Ironically, when the bombings begin, it is not jihadists who are responsible, but ginger fundamentalists who, like the celebs, are keen to obtain his goo and thus gain immunity from ridicule. 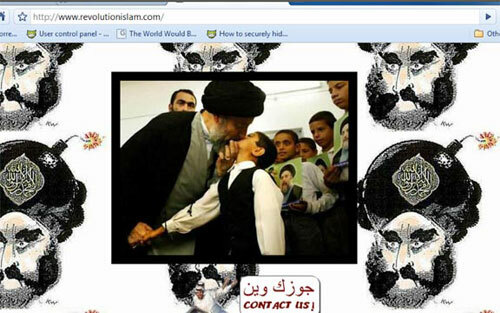 Revolutionmuslim.com, displaying the sense of humour we have come to expect from such types, have issued veiled threats on their website and released a YouTube video featuring the words of a sermon by Anwar a-Awlaki played over images of Theo van Gogh, Salman Rushdie, Ayan Hirsi Ali, Lars Vilks, Kurt Westergaard, and South Park creators Trey Parker and Matt Stone. They also provide the addresses of Comedy Central in New York, and Parker & Stone’s production company in Los Angeles. Just to “give people the opportunity to protest”, you understand. 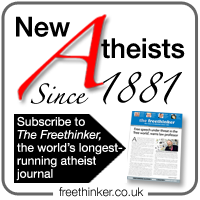 The Freethinker noticed that revolutionmuslim.com got hacked yesterday. Their front page was replaced by this image.